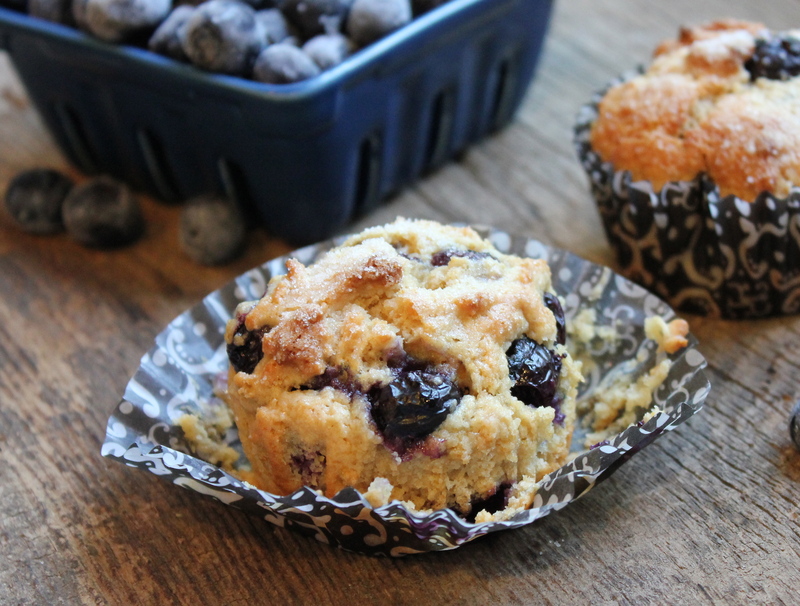 Taking advantage of summer blueberries, I finally got around to making these blueberry sweet muffins, a recipe I had been eyeing out of Southern Living Comfort Food: A Delicious Trip Down Memory Lane. But before I get to the muffins, somebody pinch me!! 63 degrees in Dallas, TEXAS in the middle of August???? I couldn’t believe it! So, instead of sleeping in late on this Saturday morning, I figured I better take advantage of the nice weather and go for a run. Morning runs are the best despite getting up at the crack of dawn. 🙂 However, once I’m up, I’m good to go for the rest of the day! Enjoying the cool weather and sunrise. Gorgeous view except for the power lines! 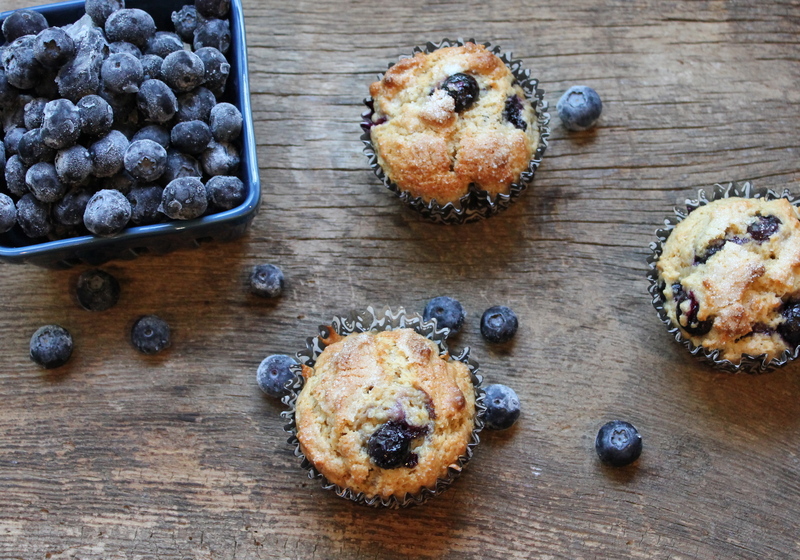 The great thing about these muffins is that they are a cinch to whip up. After running, I didn’t have much patience for waiting around for breakfast, and was able to get these on the table in under 30 minutes from start to finish! The recipe is almost effortless, plus I can almost guarantee you’ll have all the ingredients in your pantry. 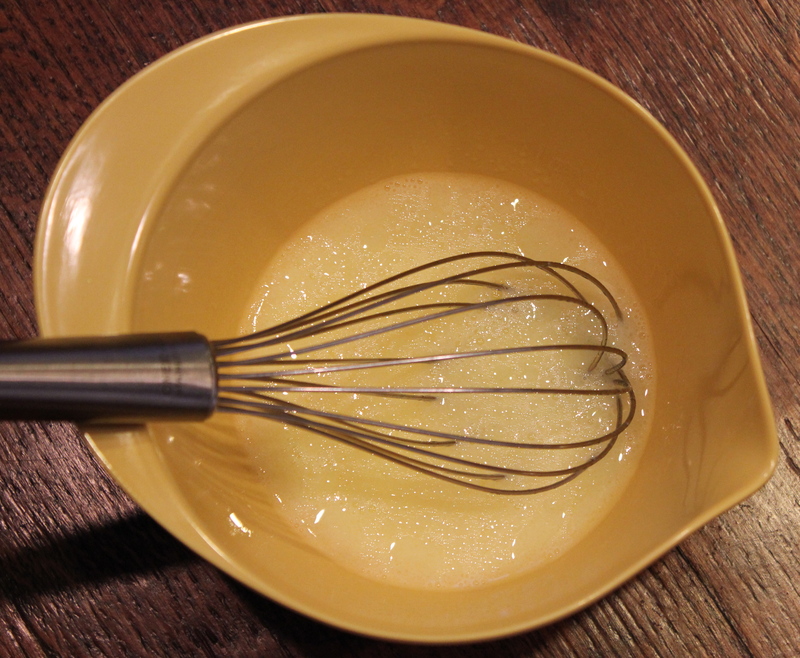 Start by whisking the egg, milk and oil together in a small bowl. Combine the flour, soda, sugar and salt together in a medium bowl. I actually substituted white whole wheat flour for the all-purpose flour. I think using 100% all-purpose would taste better, but they say white whole wheat is better for you, thus I wanted to try it out. So what’s the difference between whole wheat flour and white whole-wheat flour? It’s the type of wheat used. 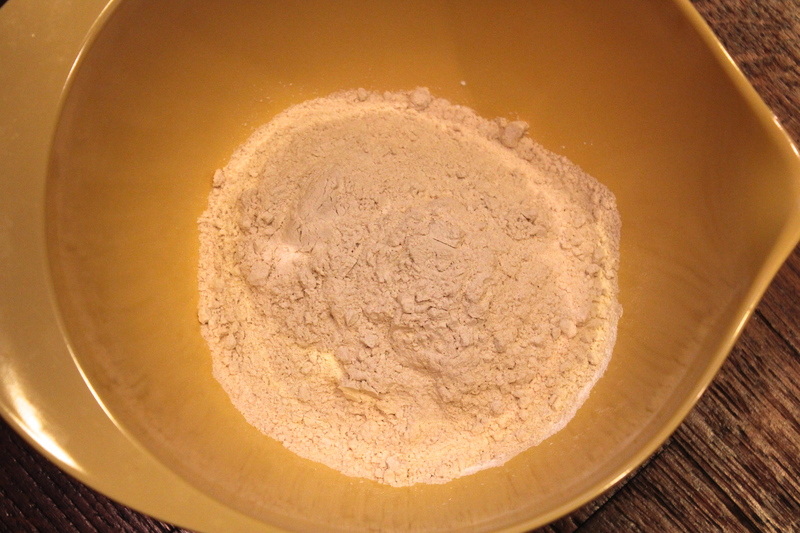 White whole wheat flour is made with white wheat, which lacks bran color. It is milder in flavor and lighter in color. Nutritionally it is the same. Think of white whole wheat flour as a sort of albino version. To learn more, click HERE. To finish making the muffins, you’ll pour the wet ingredients into the dry ones, and stir until just combined. Then you’ll fold in your blueberries. That’s it! Then just scoop the batter into lined muffin cups and bake for 20 minutes. Bake at 400 degrees F for 20-25 minutes. Let the muffins cool slightly in the pan, then transfer them to a wire rack and let them cool completely. I like mine hot so that I can drizzle them with some Colorado honey. Enjoy!! 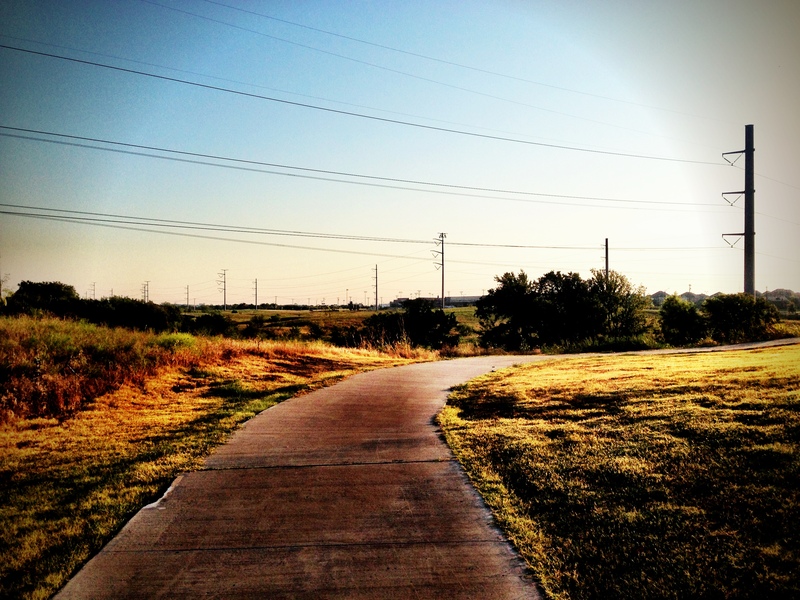 For those living in Dallas, did you enjoy the cooler weather this morning? 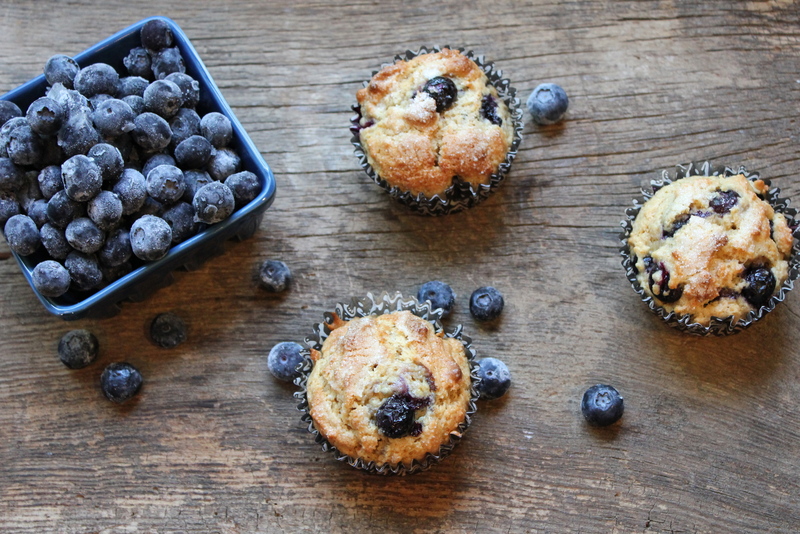 What is your favorite breakfast muffin? Preheat oven to 400 degrees F. Combine first 4 ingredients in a large bowl; make a well in center of mixture. Stir together milk, oil, and egg; add to dry ingredients, stirring just until moistened. Fold in blueberries. 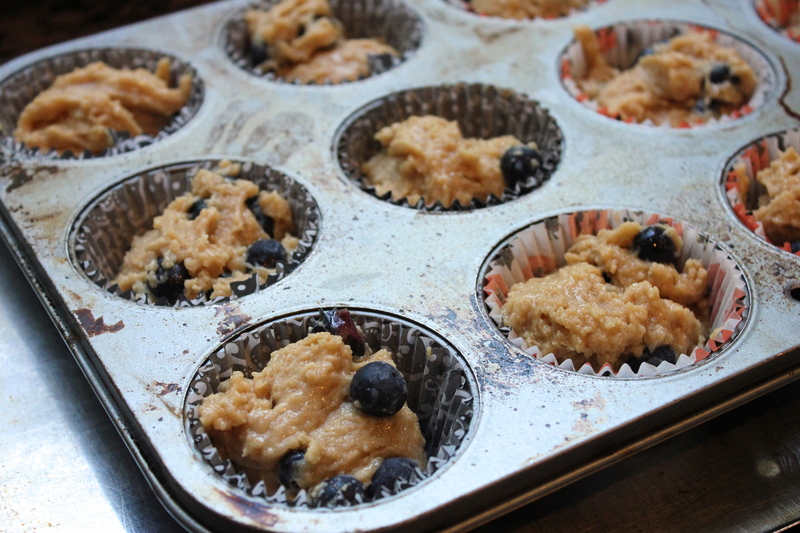 Spoon into greased or paper-lined standard muffin pans, filling two-thirds full. Sprinkle batter with 1 tablespoon of sugar. Bake for 20-25 minutes or until muffins are golden. (I baked mine at 375 degrees F in a convection oven for 20 minutes). Remove from pans immediately and cool on wire racks. 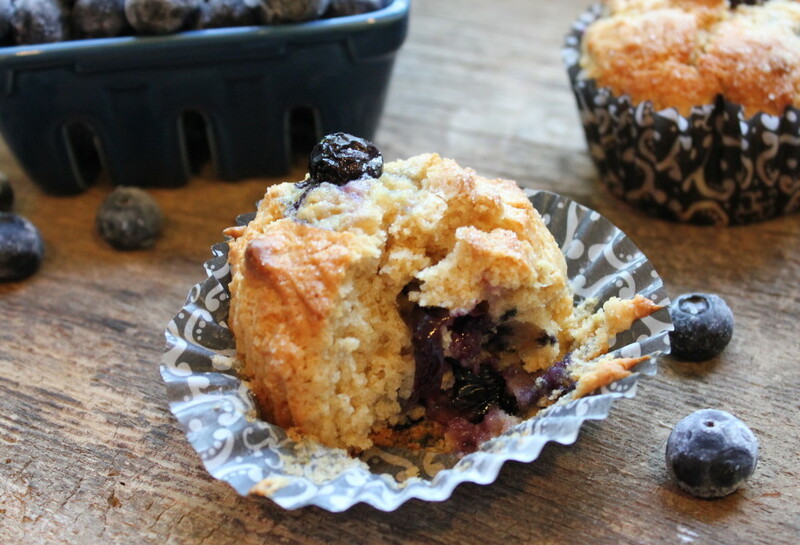 One Response to "Blueberry Sweet Muffins"
Doesn’t surprise me at all that you could whip up some muffins within 30 minutes! For those of you who don’t know me, I’m a country cook. It takes me all day to get a meal on the table. I usually have a pot of beans, which takes watching and time….I like to cook my meat entree in a slow oven so it is fork tender..etc. Well, Lauren had us for dinner one night. When we walked in…….nothing was cooking. I was concerned because she had told me, she was preparing Parmesan chicken. There were no smells coming from the oven, no chicken anywhere and she was cool as a cucumber. I asked about supper and she confirmed what she was preparing. I was worried by this point because I knew I was going to have to eat raw chicken and act like I liked it. When she got ready to cook, she had an entire delicious supper on the table within 30 minutes. The table setting was beautiful, the meal was colorful and so very good…..and cooked. I guess an ole country girl can learn a few things every now and then. It’s also fun to learn while EATING!